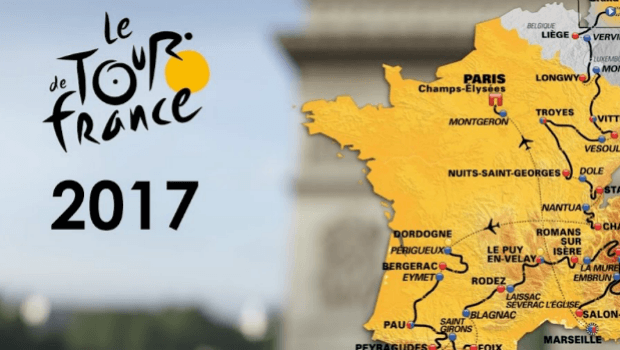 The 2017 Tour de France is already underway, with 198 riders having left Dusseldorf on their 3500-kilometre journey, which will end in Paris on 23 July. Stages 8 and 9 will be held over the weekend, followed by a rest day on Monday in Dordogne. By this point, the initial cycling betting markets will have settled down, and it's a case of looking for potential value on the top online betting sites. With Chris Froome a statistically questionable favourite and the King of the Mountains title up for grabs, astute punters could find some good Tour de France odds after the weekend. Trend #1: 80% of winners have won two or more general classification World Tour events in the current season. Trend #2: 100% of Tour winners have ridden in the season's Critérium du Dauphiné and 90% obtained a top seven finish. Trend #3: Since Marco Pantani's 1998 victory in the Tour and the Giro D’Italia, no one else has competed in both competitions in the same year. Trend #4: A major long-term trend is not having a individual top-four TT finish in the season. Trend #5: There are varying levels of fitness and recovery among those who have ridden competitively in the last 35 days. Chris Froome - The British racer is the short-priced bookies favourite: 8/13 at bet365 after the first week of the competition. He currently tops the Tour's leaderboard. But there's a very long way to go and he doesn't come in 100% fitting the trends – a slight concern from a hot favourite. With no CG title this year, you're betting against his recent form, solely reliant on his class and past proven Tour de France winning pedigree. Richie Porte - The Aussie is a high-profile rider who does fit the trend of a Tour winner, so there's compelling case to be made for him against Froome. It's fair to say that in the 2016 Tour de France it was failing bike mechanics that cost him a second place finish behind the Brit. With more experience under his belt and good form coming into the competition, his odds of 9/2 at bet365 look appealing. Fabio Aru - Aru comes into the Tour de France in decent form. While he finished outside the top ten on his debut in the event last season, it was a very good showing for a novice. He showed tenacity in the Dauphiné mountain climbs, which stands him in good stead, and has since won the Italian Championship. One interesting gambling element with Aru is that he's excellent in the mountains, so if he's to make a real move, it's going to be after the first week. His odds of 9/2 with William Hill are tempting. Given the doubts about Froome from a statistical perspective and the strengths of Porte and Aru, betting against Team Sky's main man looks interesting. Of course, if you're looking to cheer home a Brit, then Froome's quality could outshine the stats and see him win another Tour De France to add to his victories in 2013, 2015 and 2016. Thibaut Pinot - Thibaut Pinot is 10/3 favourite with William Hill to be Mountain King, due to excellent form (Pinot won stage 20 of the Giro d’Italia and took top five in six of the mountain stages) and the fact he's open about his aim of gunning for the prize. Rafal Majka - Majka won the King of the Mountains on the Tour de France in 2014 and 2016, making him an enticing 7/1 with bet365. Thomas de Gendt - Thomad de Gendt is a breakaway cyclist who's dangerous to dismiss, given his love for stacking up points by breaking the peloton. Second last year, with a win on Mont Ventoux, his odds of 33/1 with William Hill make him a value punt. The combined team classification is headed up by Team Sky – a predictable but very solid betting proposition. Unless you like the 4/9 offered at bet365, Froome and friends look more appealing as part of a double or accumulator bet. The Team has won five Tour de France titles in six years and betting against them with success is likely to be reliant on luck rather than logic. The 2017 Tour de France betting is hotting up. For gamblers, it's the mountains and later stages of the competition that could see the markets changing dramatically. Chris Froome may stay strong through the contest and add to his already legendary Tour status, but with budding contenders and veterans outpacing him on some of the stats, there could be value against him lasting home so head to bet365 to start betting today!